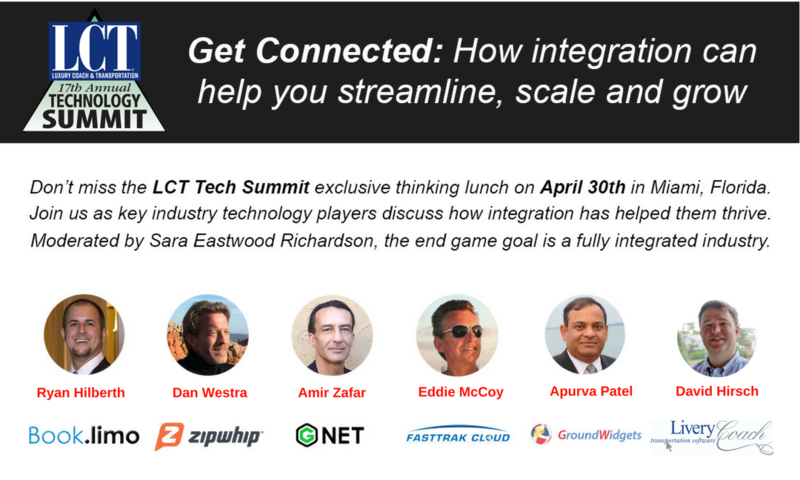 This year’s Thinking Lunch, an LCT Tech Summit EXCLUSIVE happening on April 30th will feature a discussion among operators and suppliers on what the action steps are for integrating all of the industry’s operating systems so that transactions are fully automated. It’s a subject that’s been talked about for years. Today, there are several options being presented to the market – each bringing a new set of questions, comments and concerns. The end game is to make some decisions in the best interest of the industry at large.